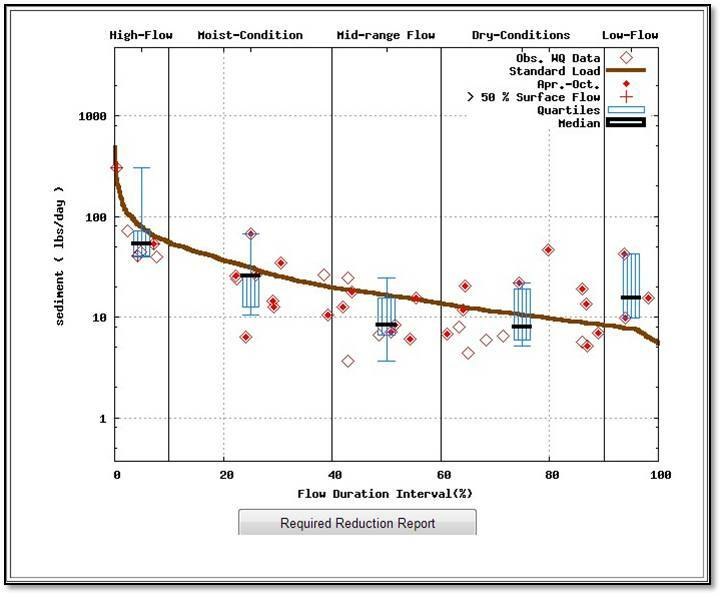 The load duration curve approach provides a way to characterize water quality concentrations at different flow regimes. There is an immediate, visual display of the relationship between stream flow and loading capacity. With this model the frequency and magnitude of water quality standard exceedances, adjustable allowable loadings, and the size of load reductions are easily understood. The tool has been enhanced 1) to allow collecting water quality data via web access and 2) to suggest best management practices (BMPs) scenarios to reduce annual pollutant load against required pollutant load reduction. The tool allows use of USGS flow data, USGS water quality data, and STORET/WQX water quality data via web access. 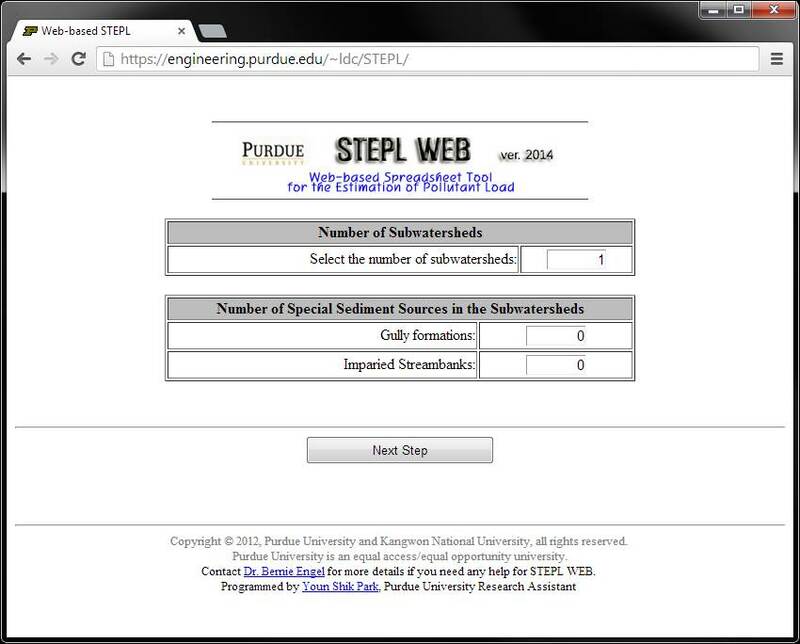 Also, the tool was integrated with the Web-based STEPL to simulate BMPs. The Spreadsheet Tool for the Estimation of Pollutant Load (STEPL) is a spreadsheet model to compute annual runoff, sediment load, nutrient loads, and 5-day biological oxygen demand (BOD5). The model is designed to estimate annual non-point source (NPS) pollutant loads, and the model allows representation of various BMP implementations and Low Impact Development (LID) practices so that pollutant load reduction by BMPs or LIDs can be computed. The model was developed as a spread-sheet model by Tetra Tech for the US EPA in 2011. This version of the model was adapted by Purdue University to be web-based and to offer targeted BMPs from an appropriate selection when requested. This model may be used with our Web-based LDC tool to simulate BMP effects; however, the Web-based LDC Tool is not required for use of the STEPL web model.